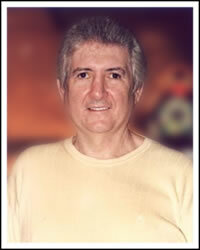 Jack Keller is known for holding three World Series of Poker (WSOP) bracelets. It seems that he was never a low-stake player, as his winnings were always impressive. He earned his nickname "Gentleman" not because he was so gentle and nice in the game. He "brought" it from the stock market, where he worked and was called by the press corps "Gentleman Jack." He was also "Murderous" as his poker rivals were afraid of him but at the same time stunned by his cold blood and will to win. Well, we can understand why, as he served in the US Air Force before his poker career. 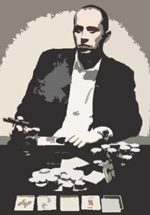 He was brilliant in the games of poker, and he appeared to be a bit stronger all the time. Once he was discharged from the Air Force, he moved to Las Vegas to fulfill his dream of becoming a professional poker player. His first World Championship of poker ended as a victory for our character and $660,000 landing in his pocket. Then there were $10,000 in 1987 and the next bracelet in 1993. But his health condition made him quit professional stage and he moved to Mississippi to play there in a more comfortable atmosphere, where he later died in 2003. During his entire professional career he made over $2,000,000.